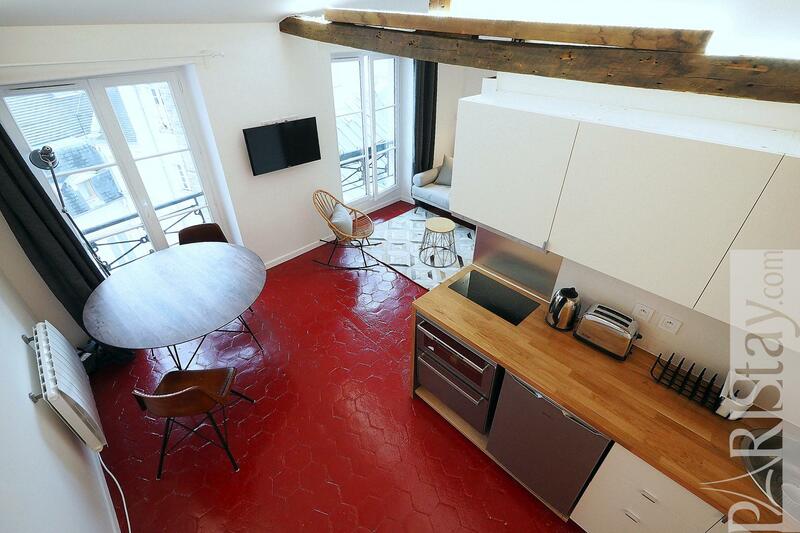 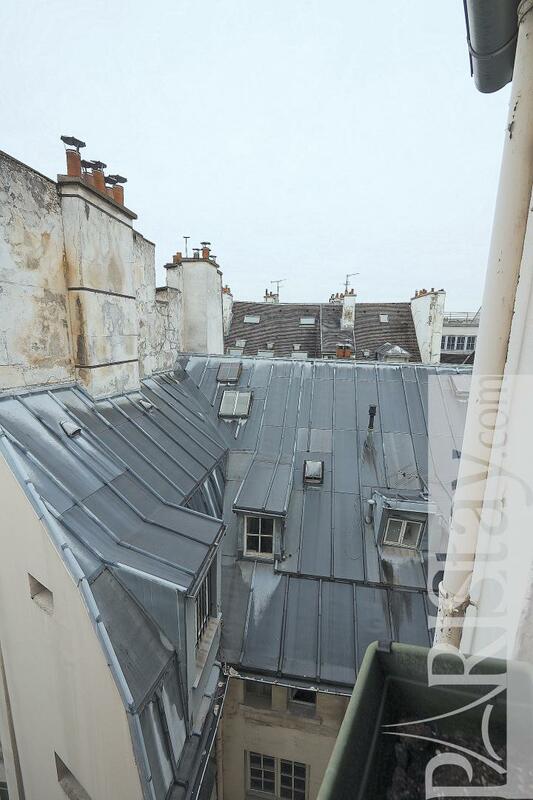 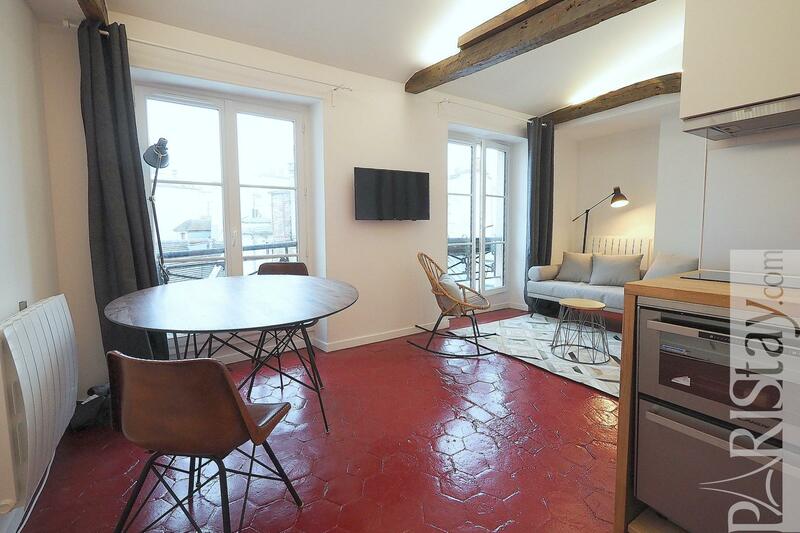 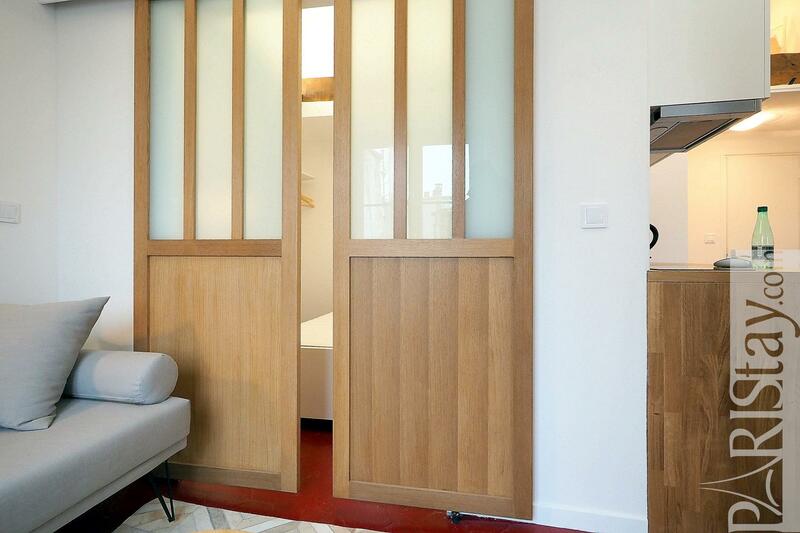 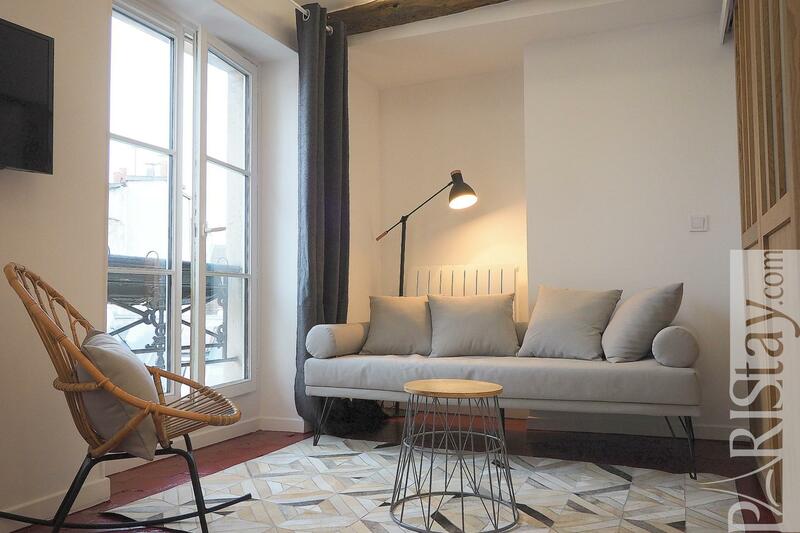 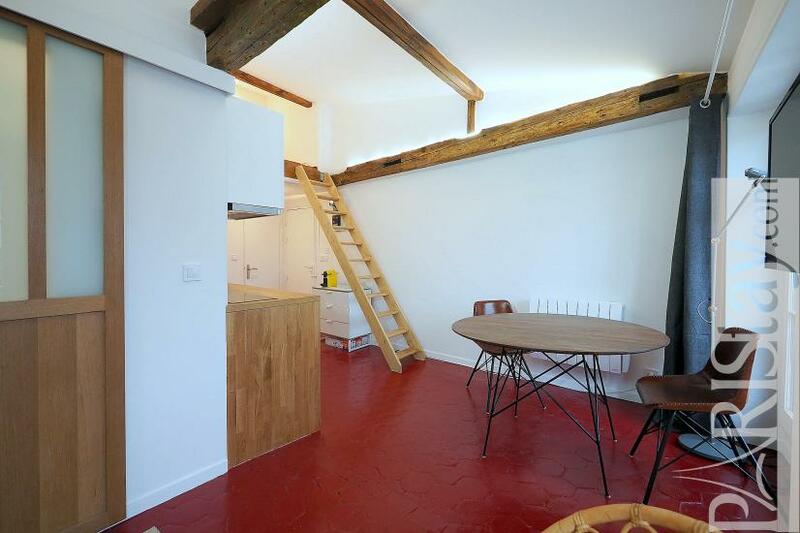 In the heart of Paris Saint Germain des prés, La Monnaie district, 2 steps from the Pont neuf and river Seine, we fell in love with this Paris 2 bedroom apartment rental. 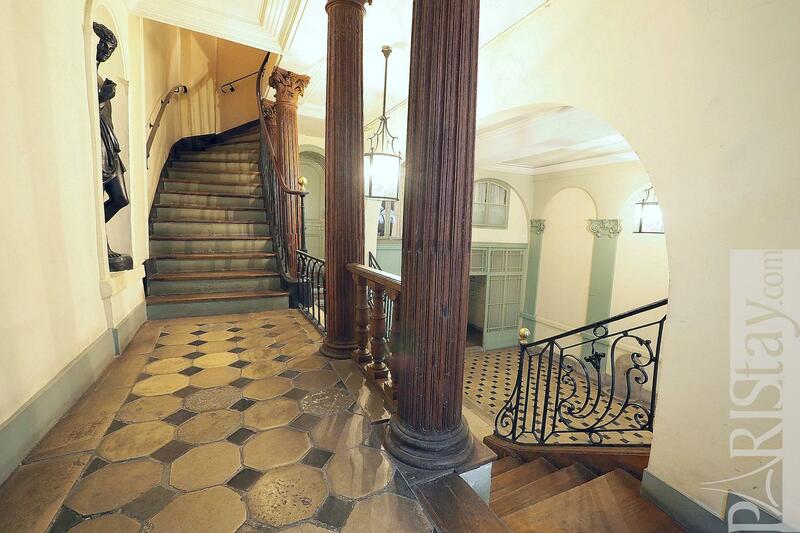 It is on the 5th floor with no lift, on a very quiet courtyard, in a wonderful historic building that presents an simply amazing lobby. 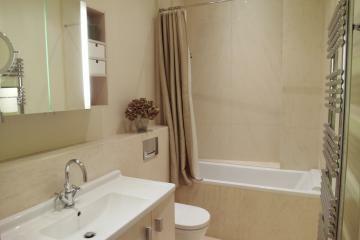 You have to see! 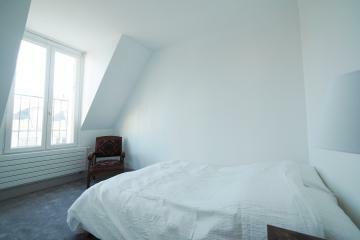 Upon entering the flat, you discover a generous and bright space illuminated by to 2 large windows offering a typical view on Paris rooftops. This spacious living room offers a fully equipped kitchen corner, a dining table that seats 4 people, a comfortable sofa bed. 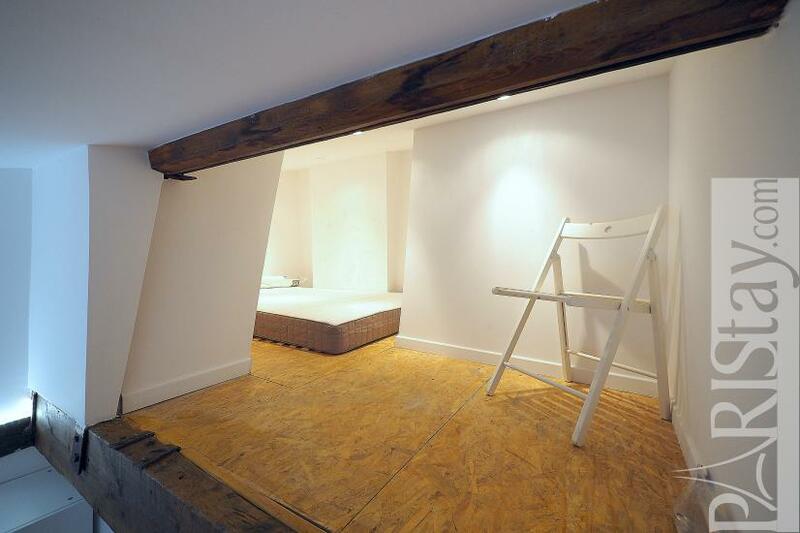 There is a direct access to the first bedrrom and a safe ladder that leads to an intimate mezzannine with another double bed. 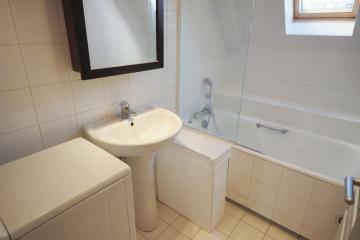 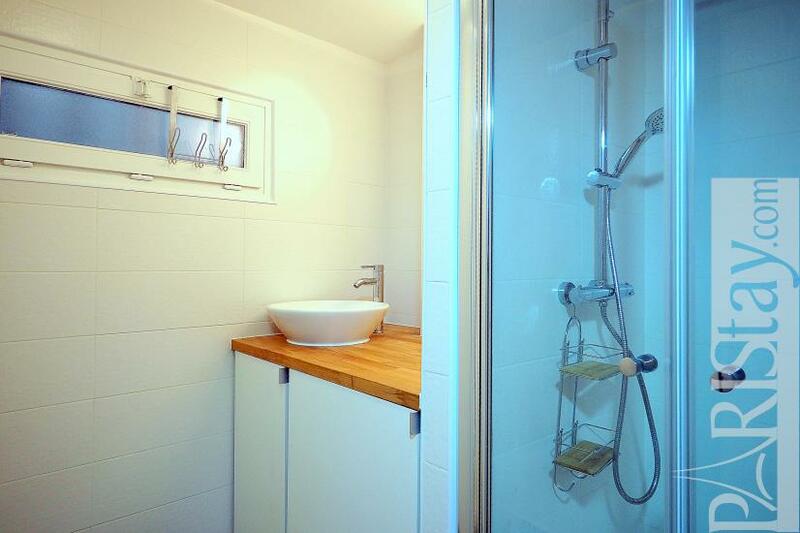 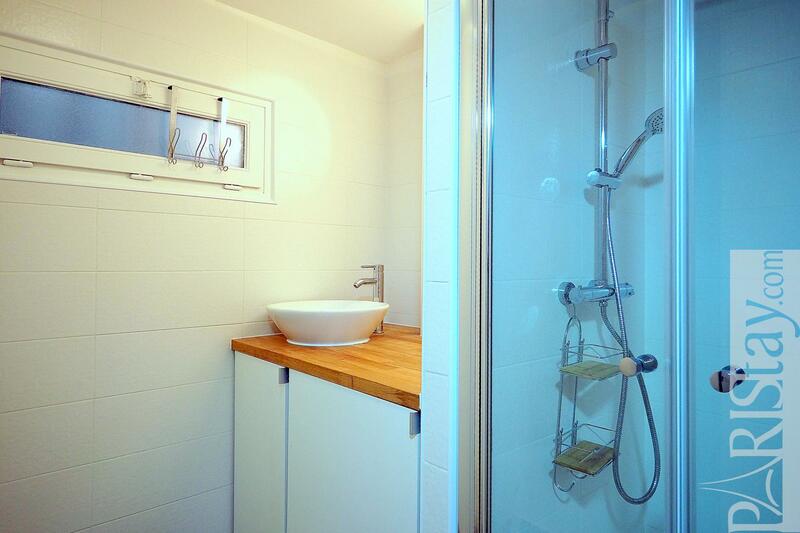 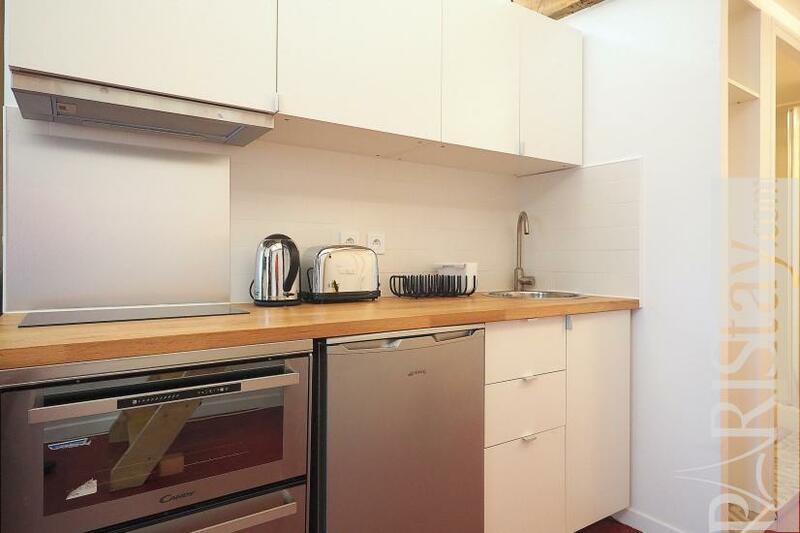 In the entrance there is a shower room with a wachine / dryer, and a separate toilet. 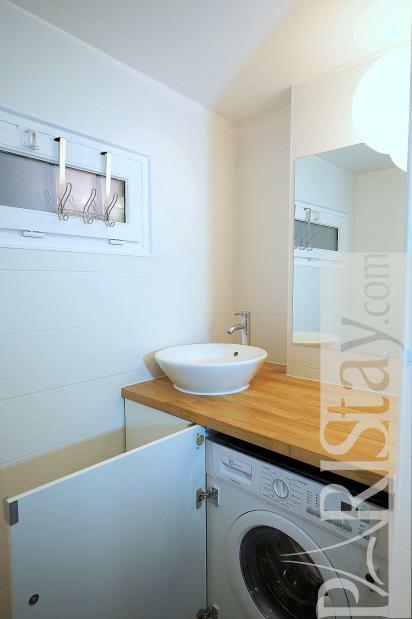 the apartement has been totally renovate, tastefully decorated in a comtenporary spiritn, and well equipped with quality furniture. Un limikted internet access. 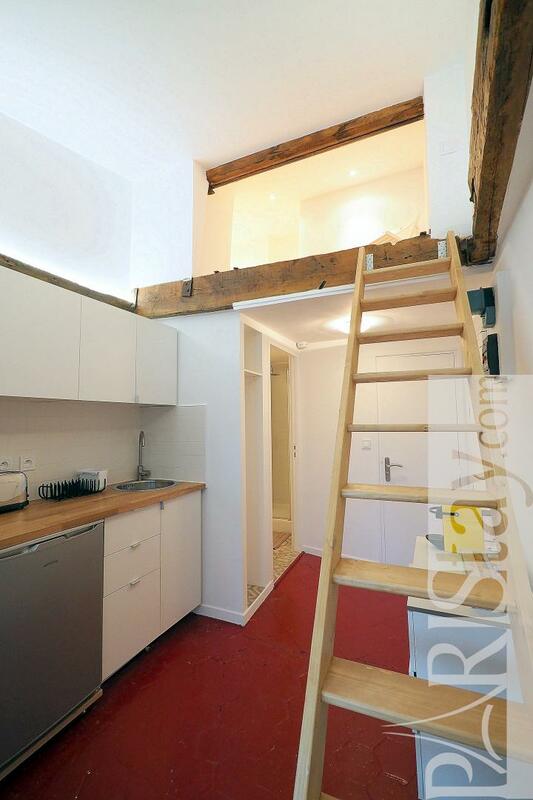 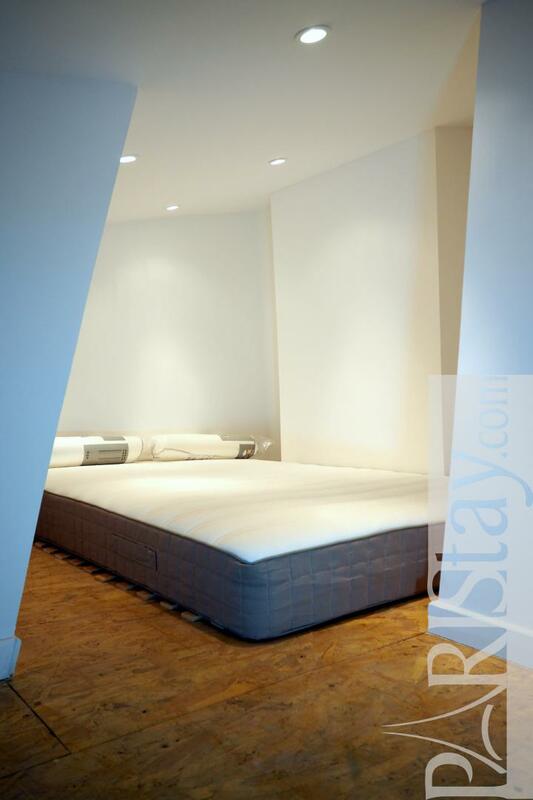 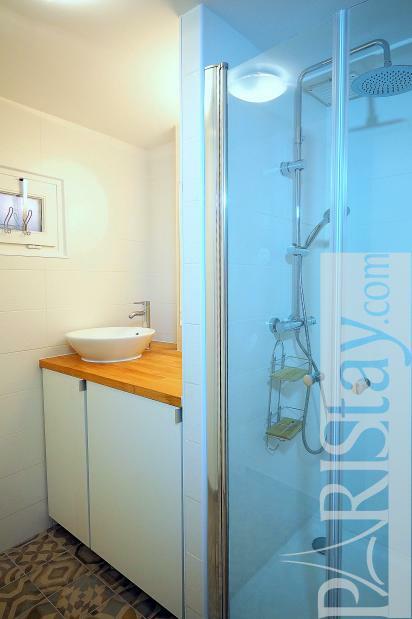 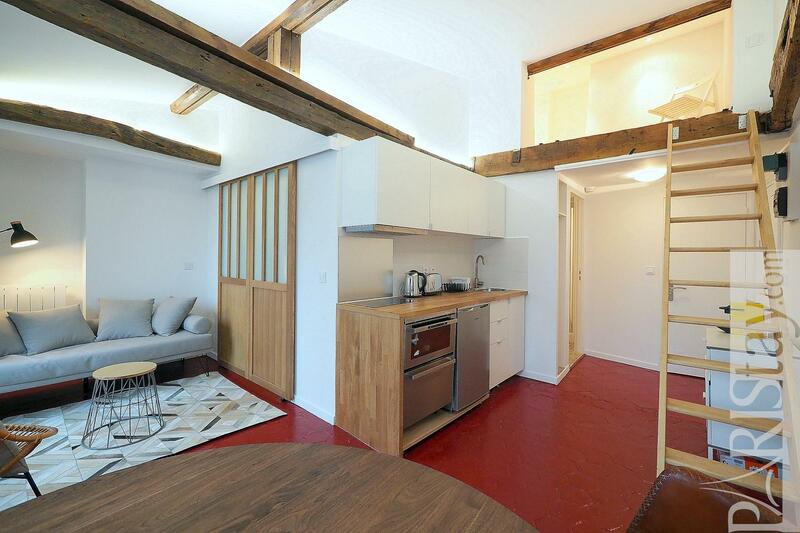 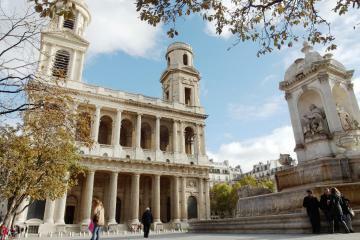 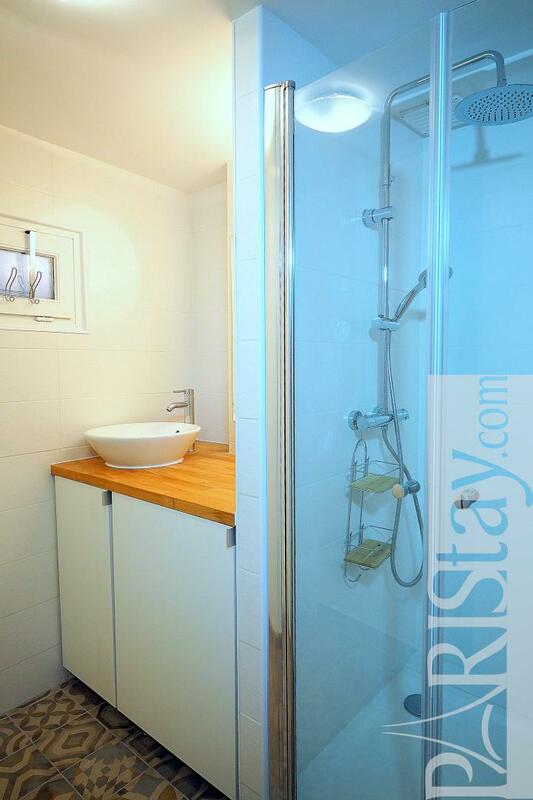 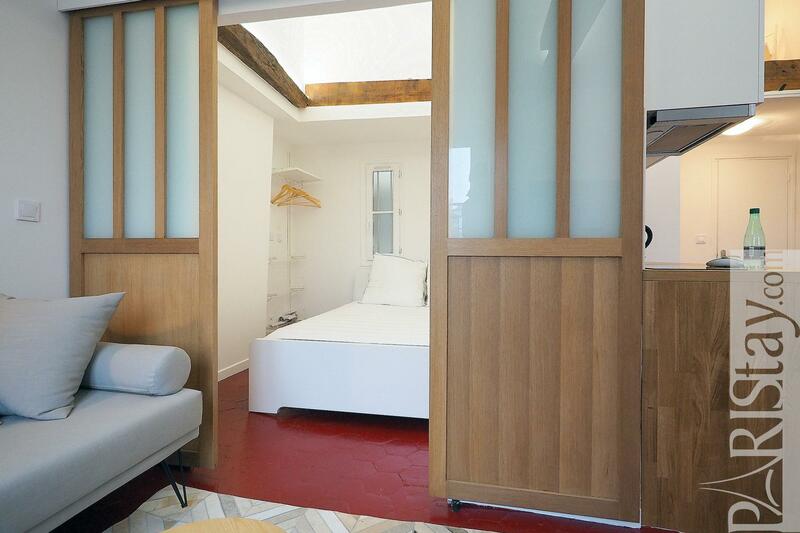 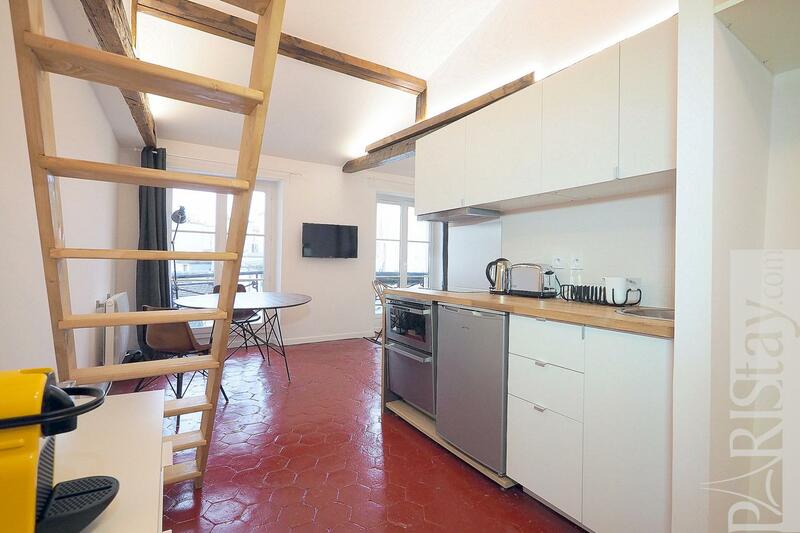 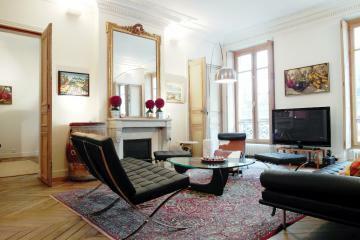 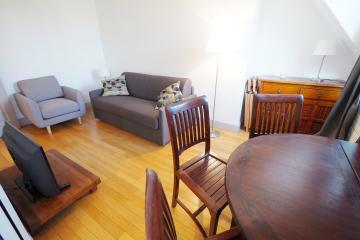 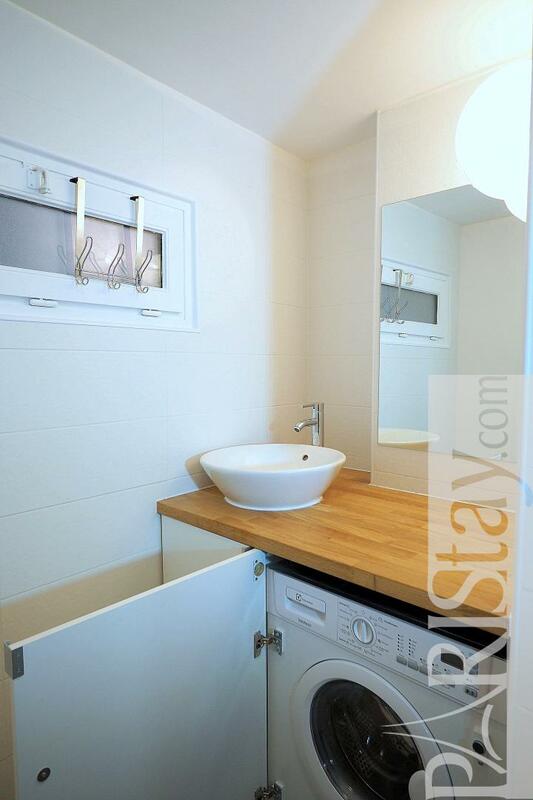 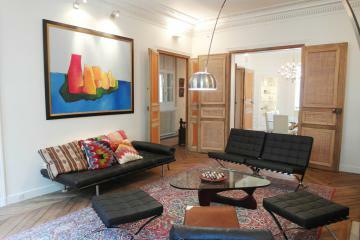 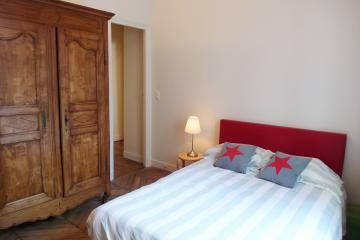 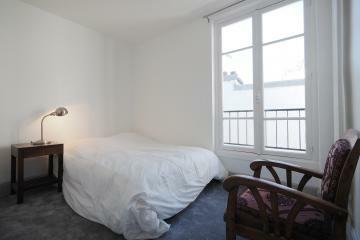 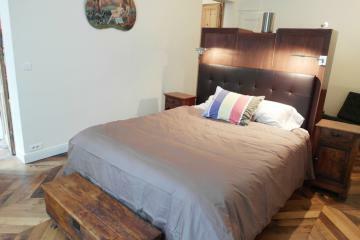 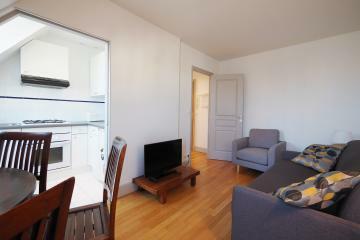 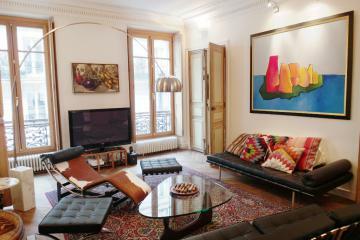 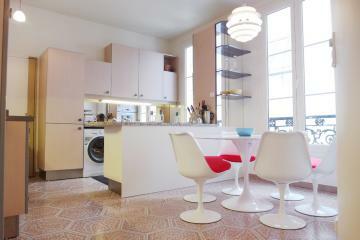 Perfect for your next short stay rentals in the heart of Paris! 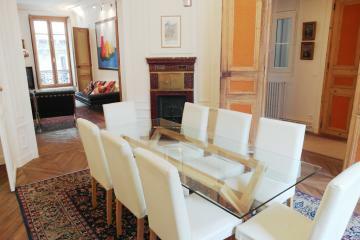 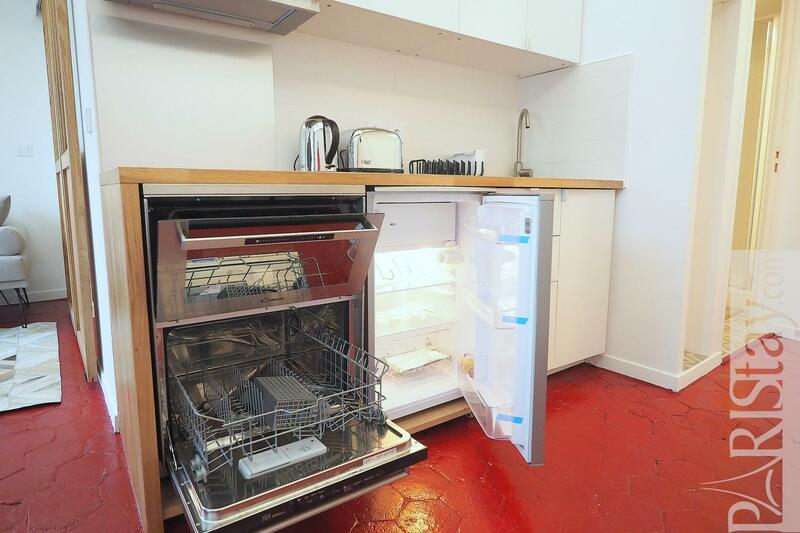 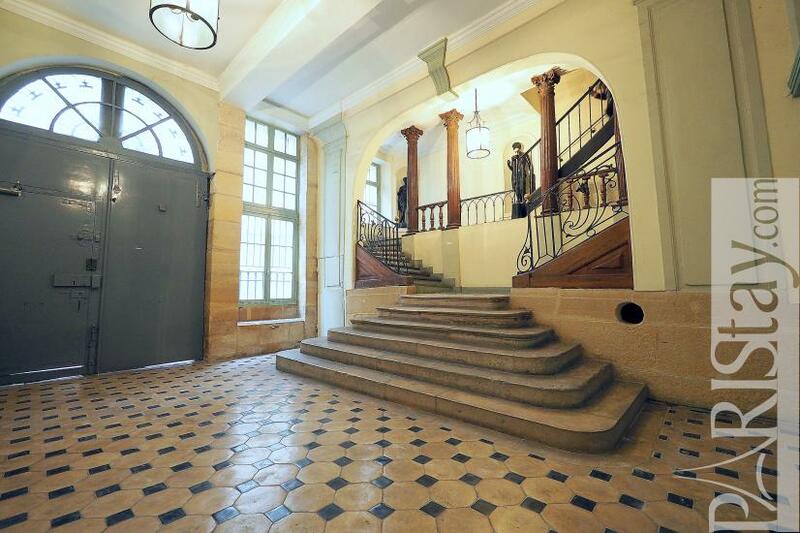 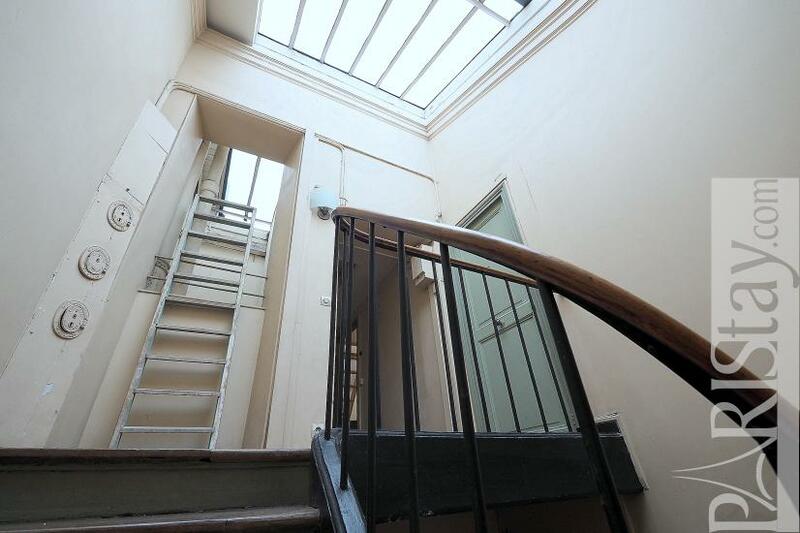 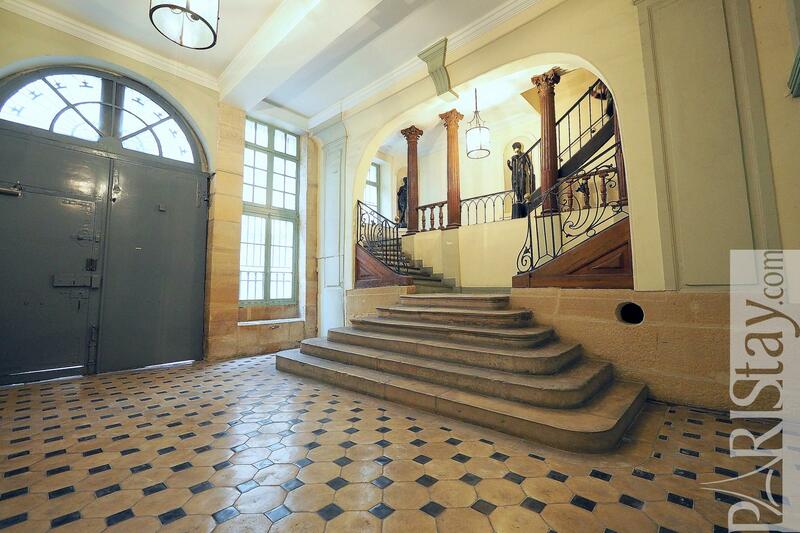 5 rd floor, without Lift, entry code security system, with intercom, 2 bedrooms Appartement, furnished, Approx: 31m² / 333 Sq.Ft.